One of the most pressing concerns for any working family with children in North Carolina is to figure out a child care arrangement for children that allows parents to work and provide for their family, and allows children to learn and grow in a safe and stimulating setting when not in parental care. This is especially challenging because of the high cost of child care, as noted in these recently released state fact sheets by Child Care Aware of America. There are a few options available for families who earn low to moderate wages including the child care subsidy program which provides financial assistance to working families who need help paying for child care. Unfortunately this critical building block that makes life work for working families has been crumbling due to recent policy decisions by North Carolina lawmakers. 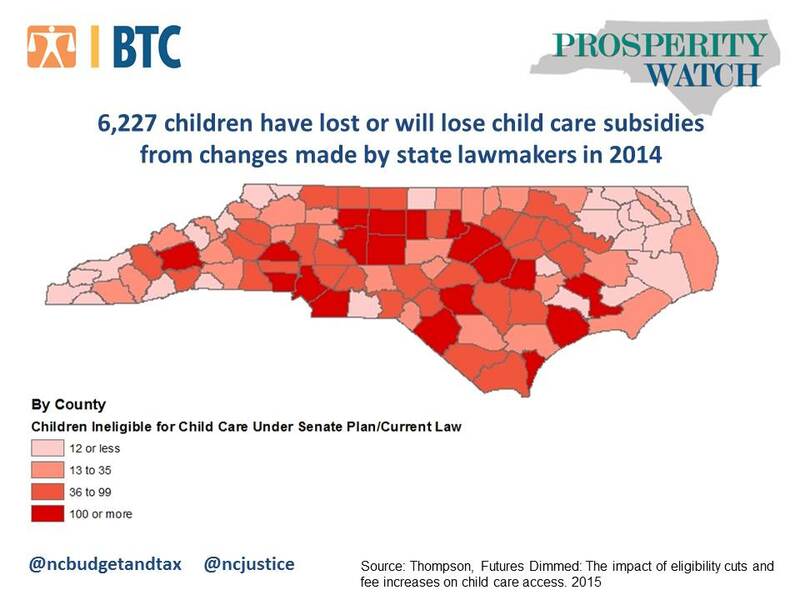 In our newest edition of Prosperity Watch, we feature a report released this month by NC Child detailing the impact made by child care subsidy policy changes passed by North Carolina lawmakers last year. These changes amounted to the loss of financial assistance for thousands of North Carolina families, including reducing income eligibility levels to qualify for the program, elimination of prorated fees for part-time child care (meaning many families will no longer be able to afford care), as well as counting income of a non-parent relative caregiver like a grandparent against the child’s eligibility for subsidies. The map below provides a county by county breakdown of the more than 6,000 children who have lost or will lose access to child care subsidies from the change to the income eligibility provision alone. Support for Paid family leave advanced in the U.S. Senate yesterday, as lawmakers heard testimony on its benefits in a key Children and Families Subcommittee hearing on Capitol Hill. During the hearing—which was requested by U.S. Senator Kay Hagan—North Carolina business owners, advocates, and representatives of working families made the case for why paid family medical leave policies benefit both employees and businesses. Such programs allow workers to recover from a serious illness or care for a sick loved one or new child without risking their job or the income they need. The hearing renewed a call for a universal family and medical leave insurance program that doesn’t shoulder all the burden of cost on employers. Currently the Family and Medical Leave Act is the only federal law designed to help working people succeed both as providers and caregivers. It leaves out 40 percent of the workforce and guarantees only unpaid leave, which millions cannot afford. Only 12 percent of U.S. workers have access to paid family leave through their employers, and less than 40 percent have personal medical leave through an employer-provided temporary disability program. This means millions of workers who develop serious health conditions, have seriously ill family members or become parents are forced to choose between providing care or having the income they need to cover basic expenses. In North Carolina, 77 percent of mothers with children under 18 work, and 44 percent of workers have no access to paid sick days, let alone paid family medical leave. Low-income workers have it even worse off and are often given no flexibility in their work schedules at all. We are human – to pretend that people don’t get sick and that they don’t give birth just doesn’t make sense….Families should have the opportunity to care for their loved ones without the risk of losing their jobs or falling into poverty…. America needs to step up and join the rest of the industrialized world in offering paid family leave in order to be competitive and humane. It’s the first time a conversation like this has happened at such a high level. And thanks in large part to Women AdvaNCe, North Carolina will have a strong, loud voice at the meeting. We’re expecting the Tar Heel delegation to be 28 strong. Women AdvaNCe has been working in targeted counties to bring the conversations about pay equity, paid earned sick leave and the need for stronger family support and worker protections. Now they are going to tell Washington what they think. Twenty-three women from six different counties—from Alamance, Durham, Guilford, Orange, Wake, and Robeson counties—will be providing feedback on these issues and more in Washington. Another five of us will be attending through MomsRising, the North Carolina Families Care coalition and the NC Justice Center. Reece participated in a recent round table discussion led by Women AdvaNCe in preparation of the D.C. Summit, where working women and business leaders gathered to discuss how NC businesses and policymakers can help close the leadership gap for women in North Carolina. Expect to hear a lot more about the need for workplace policies that make good business sense and that don’t force parents to choose between putting food on the table and letting a sick child recuperate at home with mom. Local laws are being passed around the country to provide this basic protection. Not only is Women AdvaNCe planning a local summit on September 26 related to these issues of equity, but they and others like Working America and MomsRising are working in coalitions like NC Women Matter, NC Women United, and North Carolina Families Care to raise our voices so families aren’t forced into impossible choices. 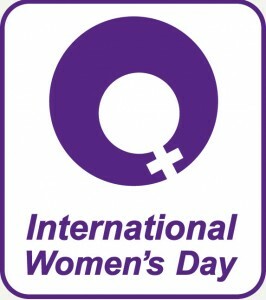 On the heels of International Women’s Day – celebrated on March 8th to honor and celebrate the economic, political, and social achievements of women – the Institute for Women’s Policy Research together with the North Carolina Council for Women, has released the Status of Women in North Carolina report. The report shows that despite women’s higher levels of education and the significant increase in labor force participation over the past decades, wage and income inequality persists in the state. The share of women with at least a bachelor’s degree increased sharply from 16 percent in 1990 to 27 percent in 2010. The share of women who did not finish high school fell from 30 to 13 percent. 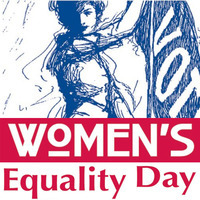 Sunday marks “Women’s Equality Day” – commemorating the date in 1920 when women in the United States won the right to vote. In advance of the occasion, state officials released a preliminary report this week detailing some of the significant social and economic advances women in North Carolina have made in recent decades. But the report, The Status of Women in North Carolina, also details the disparities that persist especially in the area of economic security. Nearly six in ten women are now in the workforce (U.S. Department of Commerce 2012a), compared to 34 percent of women in 1950 and 43 percent of women in 1970(Fullerton 1999). Women’s labor force participation in North Carolina reflects this trend; as of 2010, 59 percent of women were active in the workforce. Despite women’s higher educational attainment, women’s wages in North Carolina lag behind men’s. In 2010, the median annual earnings for women who work full-time, year-round in North Carolina were $7,000 (or $135 per week) less than the median annual earnings of comparable men; women’s earnings were $33,000, compared to $40,000 for men. In North Carolina, as in the United States as a whole, the gender wage gap is even larger when only men and women at the same educational level are compared. Women who have at least a college degree and work full-time, year-round earn more than $20,000 less per year than comparable men (a gender wage gap of 29 percent); for women with some college education or an associate’s degree, the loss of earnings for women is about $10,000 per year (a gender wage gap of 24 percent). In North Carolina, poverty status varies considerably by race and ethnicity. Among women in the state, Hispanic women are the most likely to be poor or near poor (64 percent), followed by American Indian (54 percent) and black (52 percent) women. Asian American and white women are the least likely to be poor or near poor (35 percent and 30 percent, respectively). The full 2012 Status of Women in North Carolina report is slated to be released in October. To read an advance fact sheet on the findings prepared by the independent Institute for Women’s Policy Research on behalf of the N.C. Council for Women , click here.